GitHub - CapitaineToinon/Gadgetlemage: A tool to practice Black Knight Weapon based speedruns in Dark Souls: Prepare to Die Edition and Dark Souls: Remastered. Want to be notified of new releases in CapitaineToinon/Gadgetlemage? 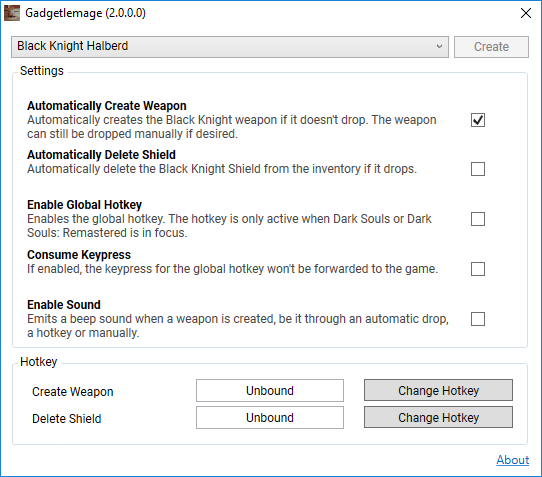 A tool to practice Black Knight Weapon based speedruns in Dark Souls: Prepare to Die Edition and Dark Souls: Remastered.